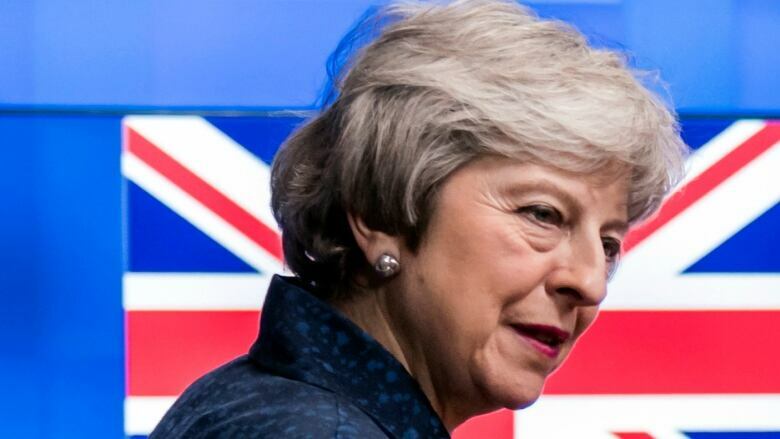 British Prime Minister Theresa May vowed to deliver an on-time Brexit agreement following talks with European Union leaders in Brussels on Thursday. 'Robust' talks with EU come amid ongoing consternation in U.K.
"I am clear that I am going to deliver Brexit," she said. "I am going to deliver it on time, that is what I am going to do for the British public. I will be negotiating hard in the coming days to do just that." May said she saw and heard a desire from EU leaders to ensure Britain leaves the bloc with a deal. "What I see and hear from leaders is a desire for us to work together to ensure that we can deliver the U.K. leaving the European Union with a deal," May said after meeting European Commission President Jean-Claude Juncker and European Council President Donald Tusk. 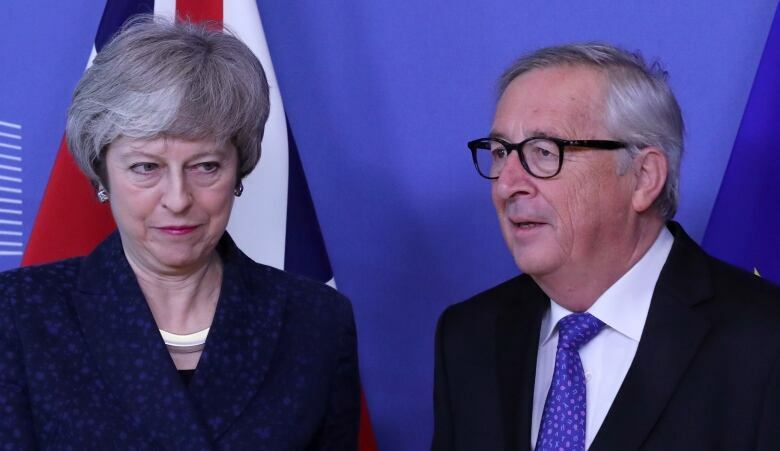 "It is not going to be easy but crucially President Juncker and I have agreed that talks will now start to find a way through this, to find a way to get this over the line and to deliver on the concerns that Parliament has so we get a majority in Parliament," she said. Earlier, Juncker's spokesperson, Margaritis Schinas, said that he "underlined that the EU 27 will not reopen the withdrawal agreement, which represents a carefully balanced compromise." Schinas said May "raised various options" for getting around the main sticking point in the Brexit negotiations, the backstop arrangement to avoid checks on the Irish border. Describing the approximately 90-minute meeting between the European Commission's president and May as "robust but constructive," Schinas said the EU and Britain have already "made significant concessions to get a deal." European Parliament President Antonio Tajani, who also met with May on Thursday, warned that the EU and Britain are on the verge of an "economic and human catastrophe" if they fail to finalize the Brexit agreement. Tajani, whose European Parliament, like the U.K. Parliament, must endorse any deal by March 29, says that lawmakers do not want to renegotiate the legally binding divorce agreement. But he says that they "are open to be more ambitious on our future relations, including looking at the Irish situation again if the U.K.'s red lines change." Top EU Brexit lawmaker Guy Verhofstadt is proposing to make a separate Brexit political declaration on future EU-U.K. ties "more binding, more precise." May will also meet with European Council President Donald Tusk. With the gap between both sides already yawning, Tusk exacerbated the frosty climate on Wednesday by wondering aloud what "special place in hell" might be reserved for those who had no idea of how to deliver Brexit. May will still be looking for changes in the 585-page legally binding withdrawal agreement, something which the 27 other EU leaders continue to vehemently oppose. Irish Prime Minister Leo Varadkar said Wednesday that a majority in favour of those arrangements probably "only exists because alternative arrangements can mean what you want them to mean." In London, there was some momentum from the Opposition, as the leader of the Labour Party wrote to May spelling out what he wants in exchange for backing the government's Brexit plan. Corbyn's position is disappointing some Labour Party legislators, who had hoped he would back calls for a second referendum on the Brexit process.